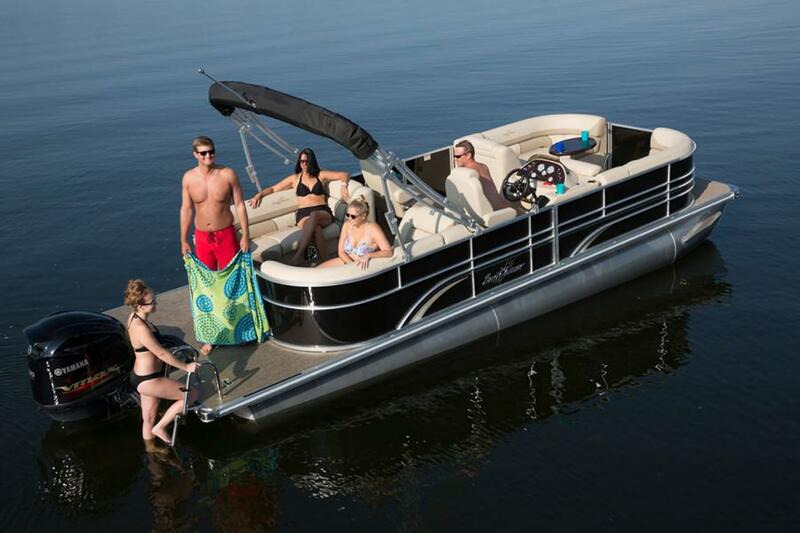 As a premium manufacturer of pontoon boats, SunChaser strives to make boats that are high on quality, have the best warranty, offer the best customer service and are extremely affordable. SunChaser’s range of fish, cruise and leisure pontoon boats are easy to own, maintain and handle, and are stable, spacious, stable, and feature-rich, making them ideal for enjoying fun outdoor activities such as cruising, swimming and fishing, among others. Add to that an exclusive lifetime deck, transom and tube warranty, and you need not look any further to fulfill your boating needs! In over three decades of operation, SunChaser Pontoon Boats has established itself as a worldwide leader in the manufacture if luxury, performance and leisure pontoon boats. It has also maintained a reputation for being a successful family-owned and operated company, with over five generations dedicated to building the finest watercrafts. According to the founders themselves, their commitment and heritage is to share their love of boating with the world. All pontoon boats manufactured by SunChaser are known for their rich features, high-grade construction, impressive warranties, all of which are offered at very affordable prices.